Aluminum Window Screens Custom Made to Fit Most Style Window. 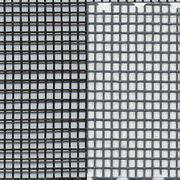 Our custom aluminum window screens are the best screen mesh choice for areas that have problem with insects such as grasshoppers that eat fabric type material like fiberglass screening mesh. Aluminum window screen will outlast fiberglass screen mesh in areas where it is left undisturbed. The ideal window application for an aluminum screen is a low traffic window that will not be disturbed. In most low traffic applications, an aluminum widow screen will last on average 30 years. Although, aluminum screening mesh is a metal, it is very delicate. Every time something pushes against the aluminum mesh, it will leave a visible mark in the mesh or even a dent or worse a tear. Across the board, aluminum screen mesh is pretty much all the same. There are not many options when it comes to the metal screen mesh. 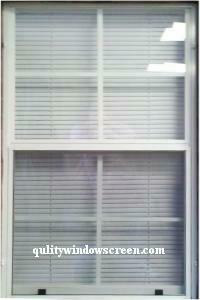 For high traffic areas or a more affordable option, one should choose fiberglass window screens. Click here for more about our custom fiberglass window screens. Aluminum screens are also used for Soffit Vent covers on the overhangs of your home. Our Custom Aluminum Window Screens are factory made with aluminum frame, aluminum insect screen and internal mitered corners. Your screen mesh color choices are silver, charcoal or black aluminum screen. Choose from five frame color choices and a wide selection of attachment hardware. Order custom aluminum window screens today! Width Inches Select 10 11 12 13 14 15 16 17 18 19 20 21 22 23 24 25 26 27 28 29 30 31 (+$0.40) 32 (+$0.80) 33 (+$1.20) 34 (+$1.60) 35 (+$2.00) 36 (+$2.40) 37 (+$2.80) 38 (+$3.20) 39 (+$3.60) 40 (+$4.00) 41 (+$4.40) 42 (+$4.80) 43 (+$5.20) 44 (+$5.60) 45 (+$6.00) 46 (+$6.40) 47 (+$6.80) 48 (+$7.20) 49 (+$7.60) 50 (+$8.00) Help? Height Inches Select 10 11 12 13 14 15 16 17 18 19 20 21 22 23 24 25 26 27 28 29 30 31 (+$0.40) 32 (+$0.80) 33 (+$1.20) 34 (+$1.60) 35 (+$2.00) 36 (+$2.40) 37 (+$2.80) 38 (+$3.20) 39 (+$3.60) 40 (+$4.00) 41 (+$4.40) 42 (+$4.80) 43 (+$5.20) 44 (+$5.60) 45 (+$6.00) 46 (+$6.40) 47 (+$6.80) 48 (+$7.20) 49 (+$7.60) 50 (+$8.00) 51 (+$8.40) 52 (+$8.80) 53 (+$9.20) 54 (+$9.60) 55 (+$10.00) 56 (+$10.40) 57 (+$10.80) 58 (+$11.20) 59 (+$11.60) 60 (+$12.00) 61 (+$12.40) 62 (+$12.80) 63 (+$13.20) 64 (+$13.60) 65 (+$14.00) 66 (+$14.40) 67 (+$14.80) 68 (+$15.20) 69 (+$15.60) 70 (+$16.00) 71 (+$16.40) 72 (+$16.80) 73 (+$17.20) 74 (+$17.60) Help? Very prompt service, products arrived in excellent packaging in perfect condition. Advantages: Great service and communication, prompt product shipment, excellent packaging, product produced to exact specs. Quality construction metal screens and expert packing for shipping. Advantages: Easy ordering with exact choices of specs for proper fit. Very smooth transaction. Exactly as ordered. These fitted perfectly. The directions on measuring the window fitting worked well. Advantages: Cost effective way to update your house. Advantages: Located a company that could construct a screen for a 60’s window. We used to be able to buy screens locally from the big box store but that service is no longer available. Quality screens has lots of options and was abled to provide me with exactly what I wanted. The screens were well packed and survived a trip to Alaska. First class job. Fit perfectly. BTW, Hats off to the shipping department. The wooden frame was very impressive. Excellent product, packaging, service and a perfect fit. 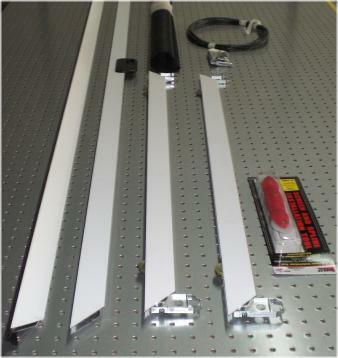 Advantages: Fit, finish, service by mfg. Disadvantages: None. Shipping is expensive due to premium packaging to avoid damage and use of a premium carrier (FedX). Quality product, fast delivery, easy to order. Advantages: Very well made, sized to exactly your needs, many choices of color and design. Very quick delivery and great quality.